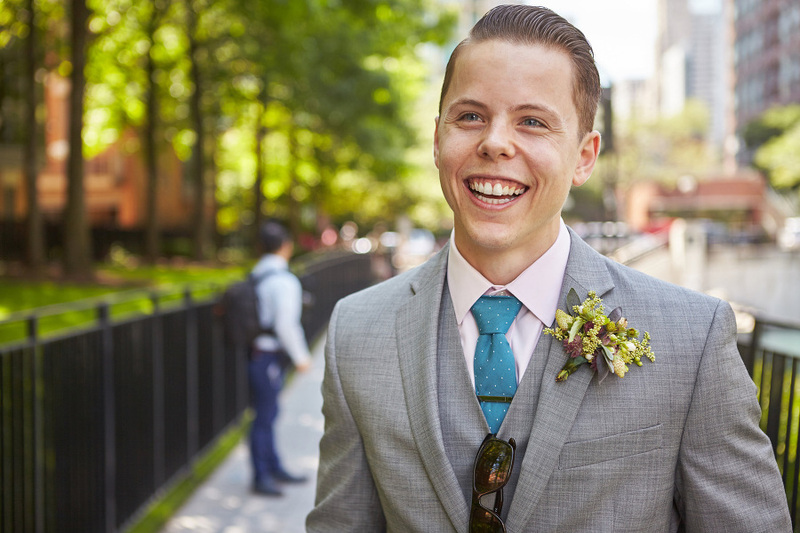 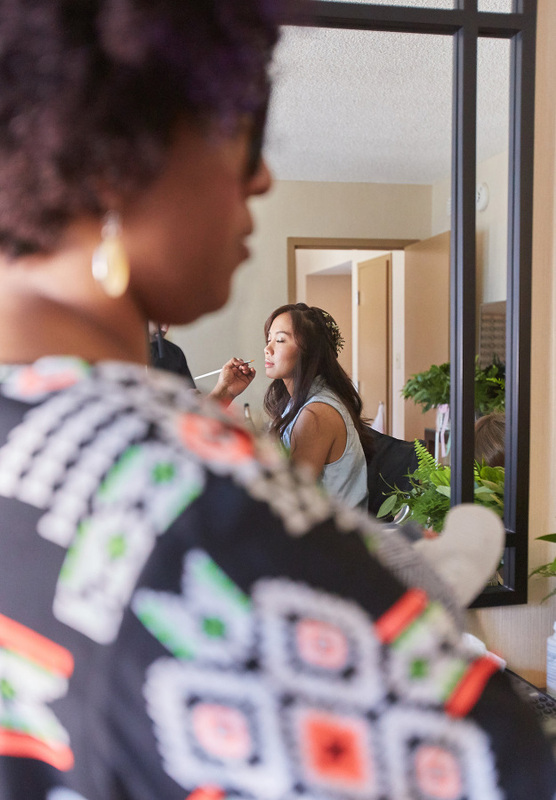 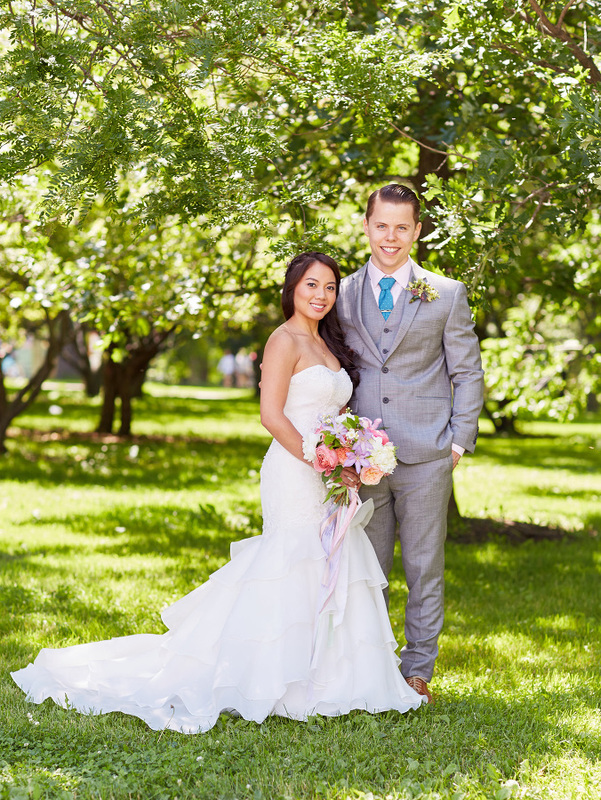 Crisselda and Chris hired NYE to help make the most of their budget to fit their vision and style. 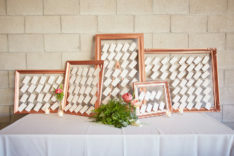 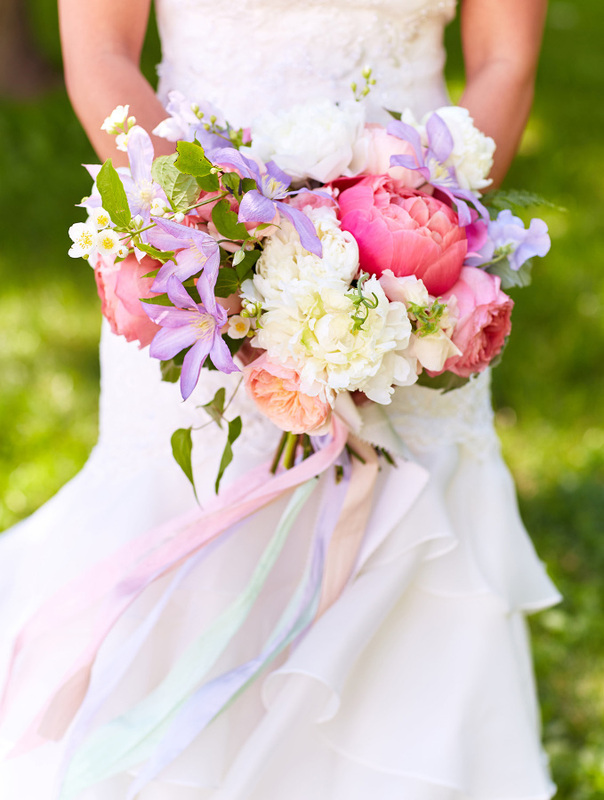 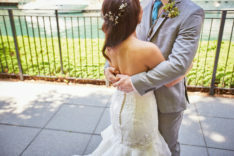 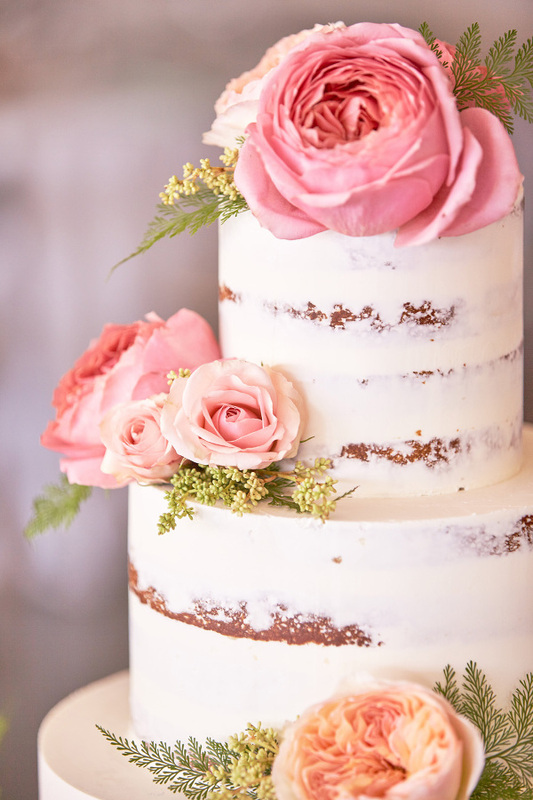 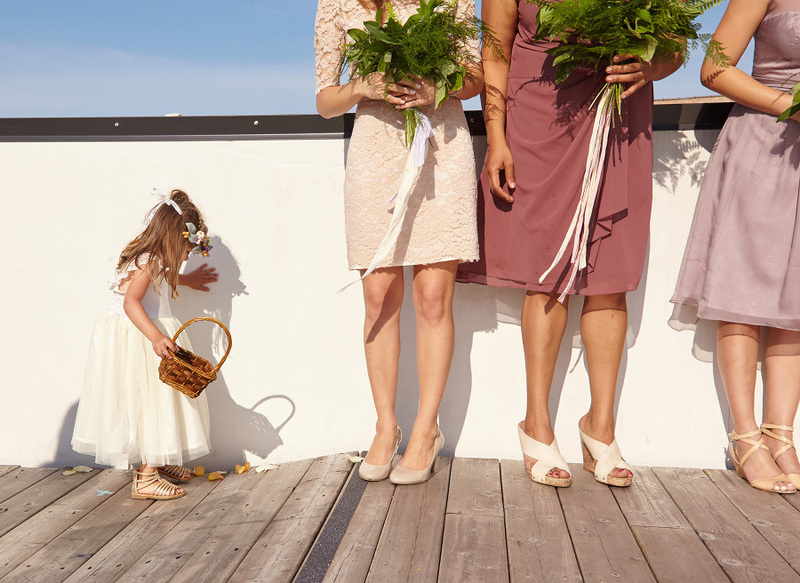 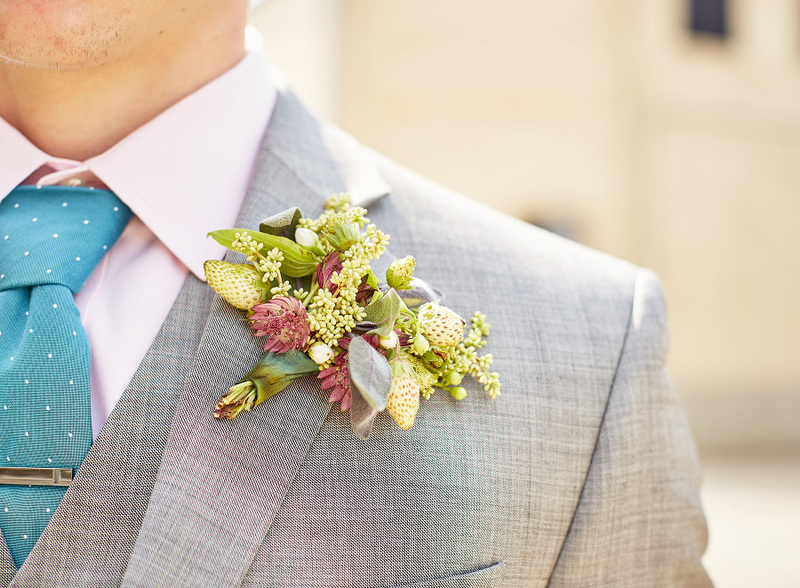 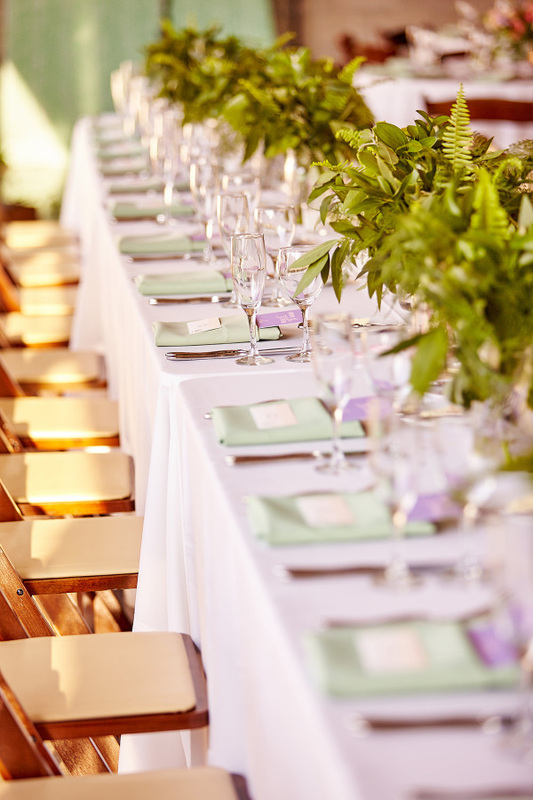 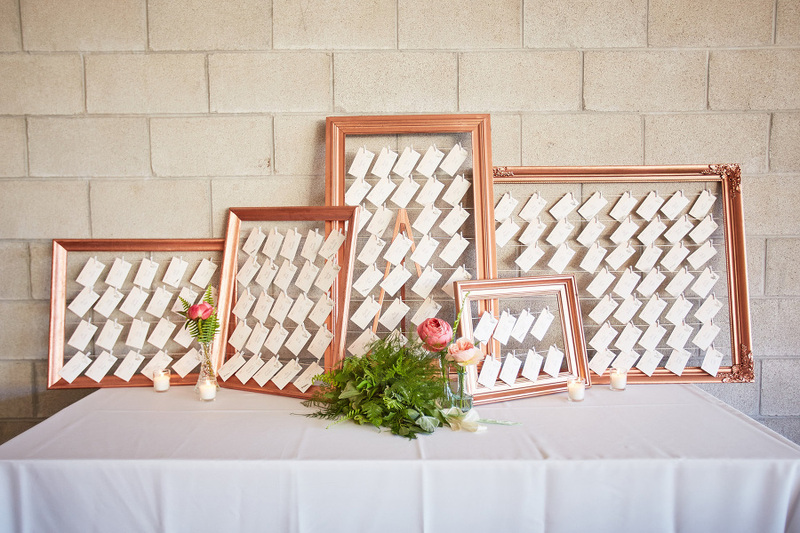 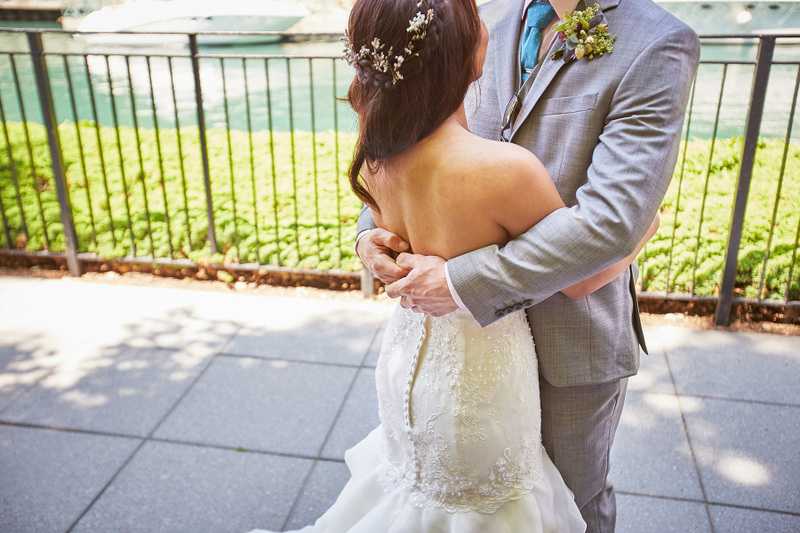 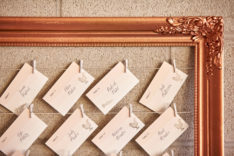 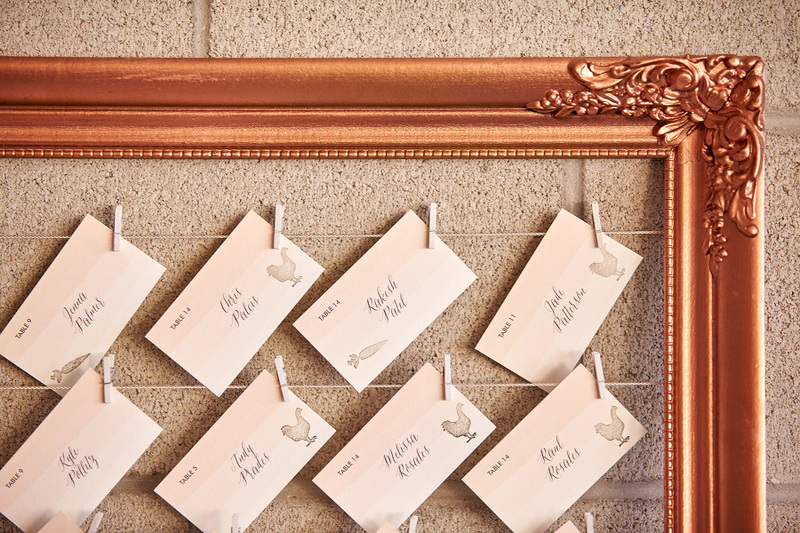 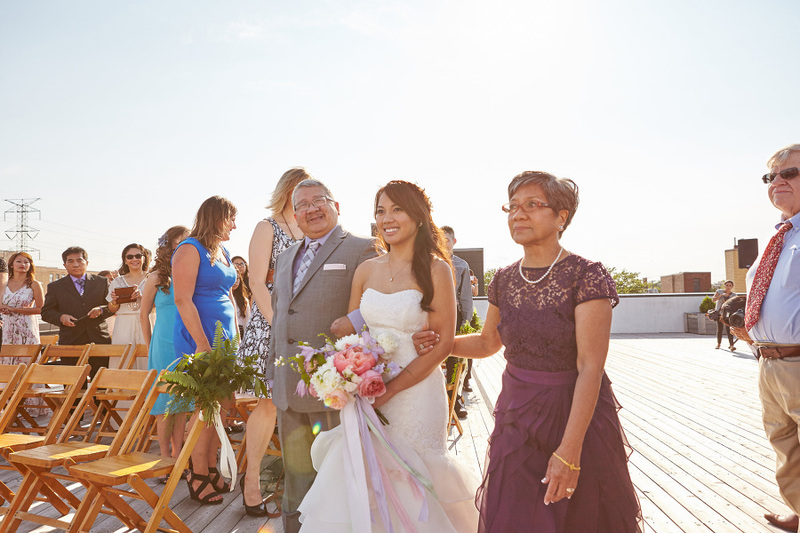 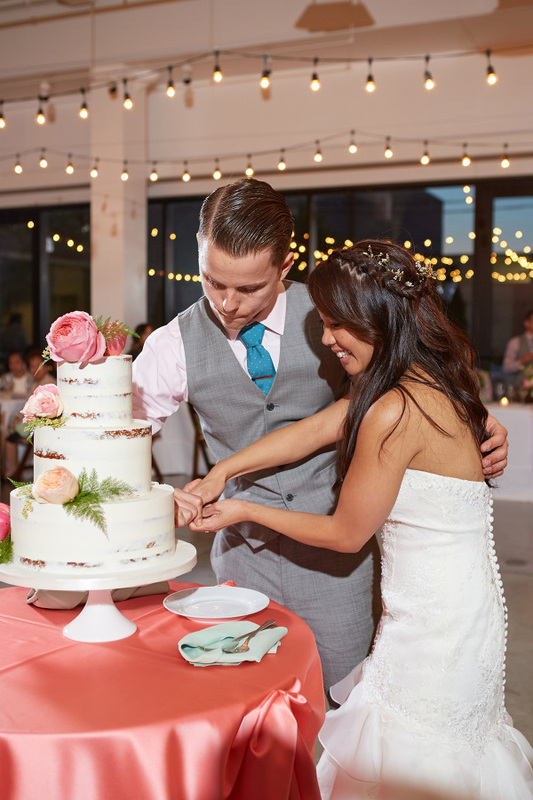 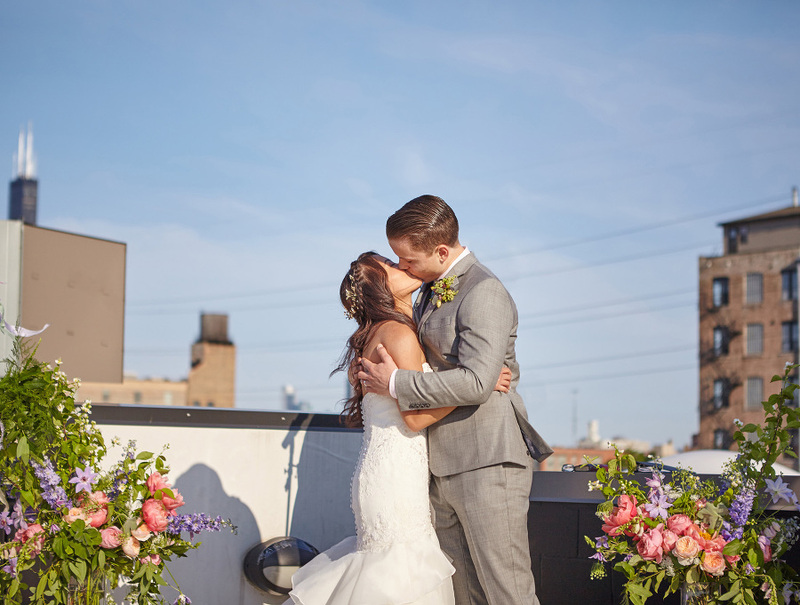 Their ideal wedding was modern, romantic, and bohemian. 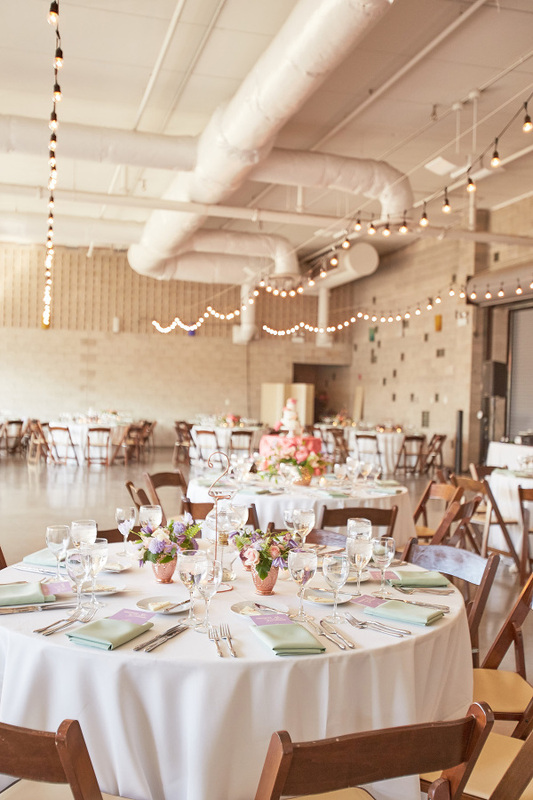 With this in mind, we set up every venue tour, conducted each vendor interview, and lead all the different decor discussions. 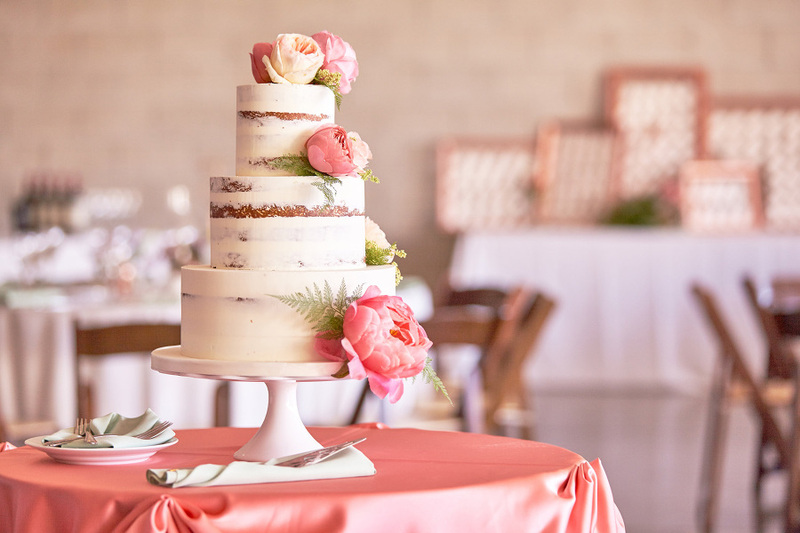 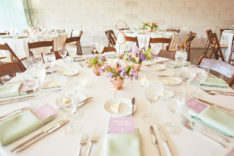 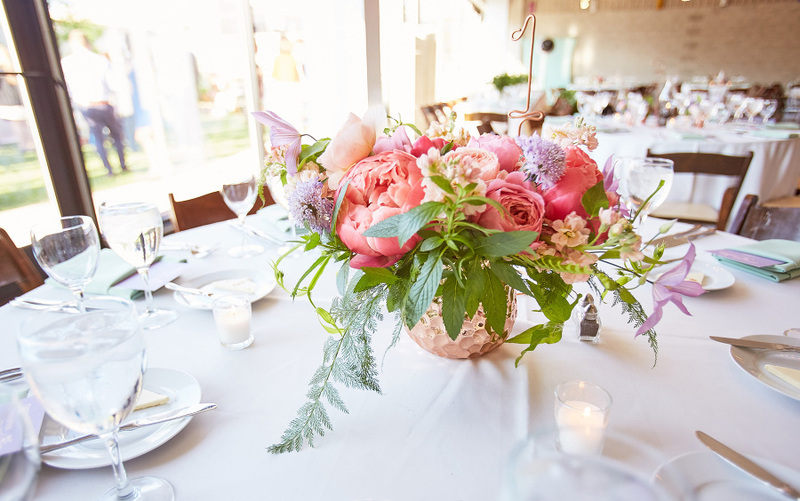 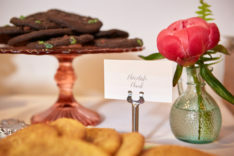 Set inside a glass blowing studio, we incorporated vintage glass lanterns, shaped copper table numbers, boho fern garlands, and soft romantic blooms in blush tones. 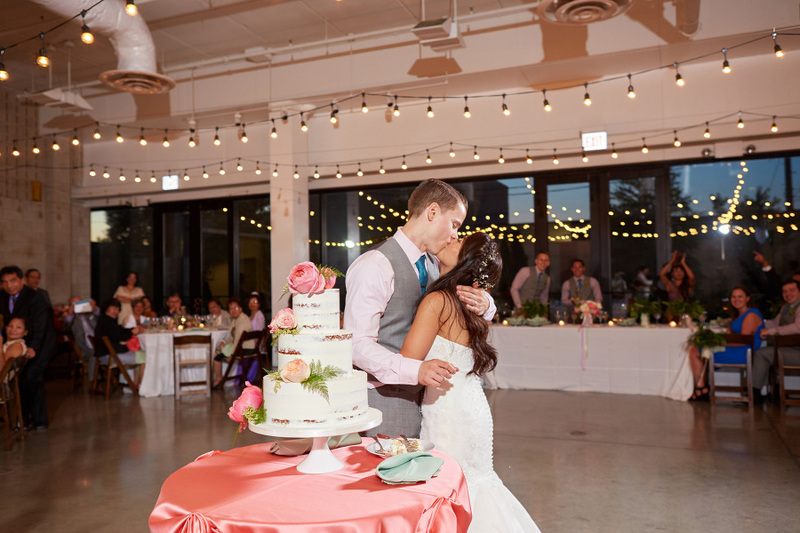 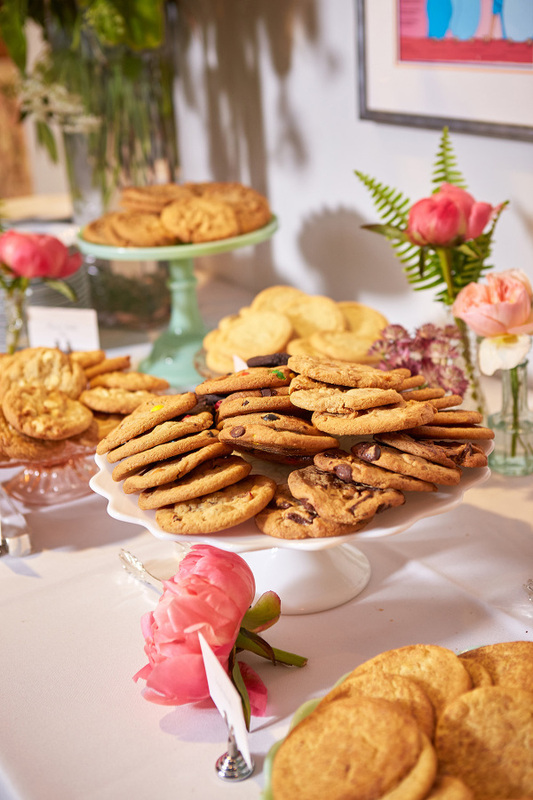 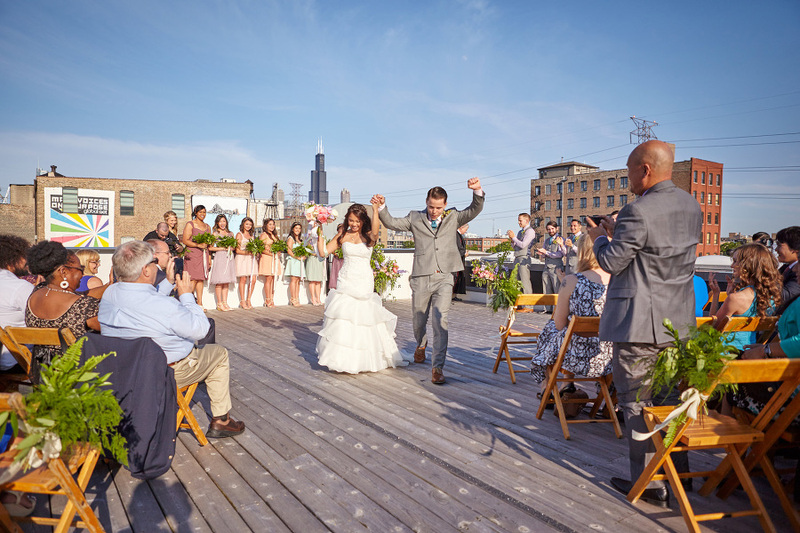 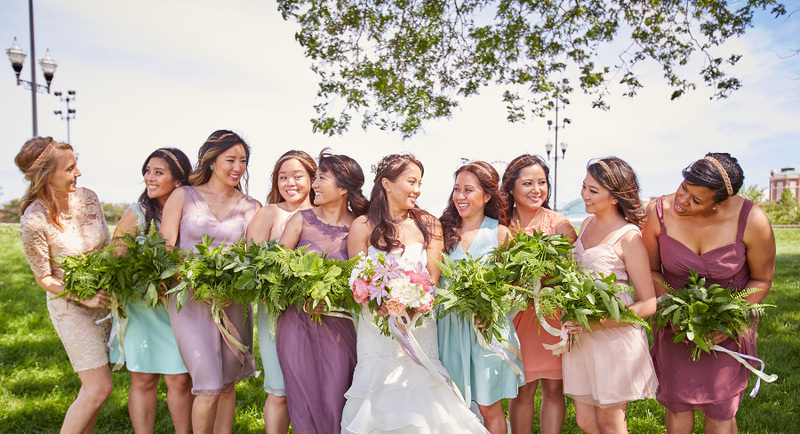 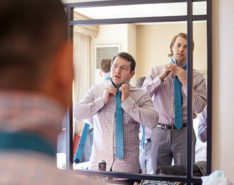 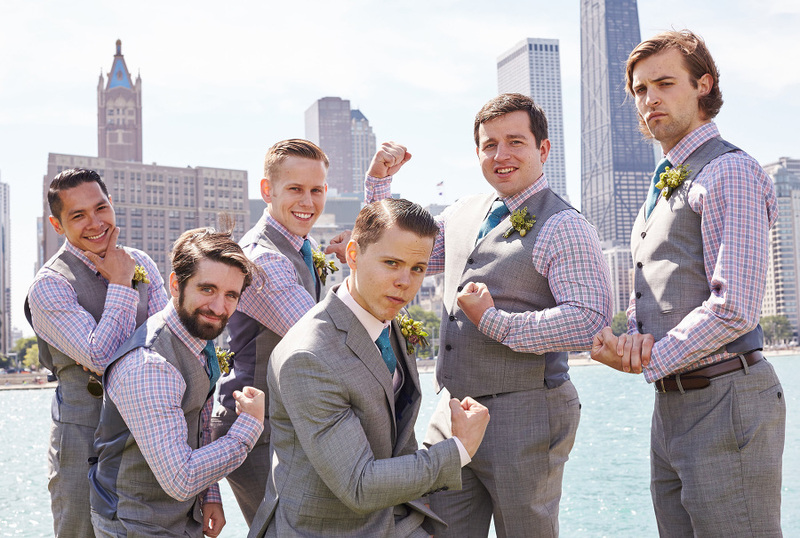 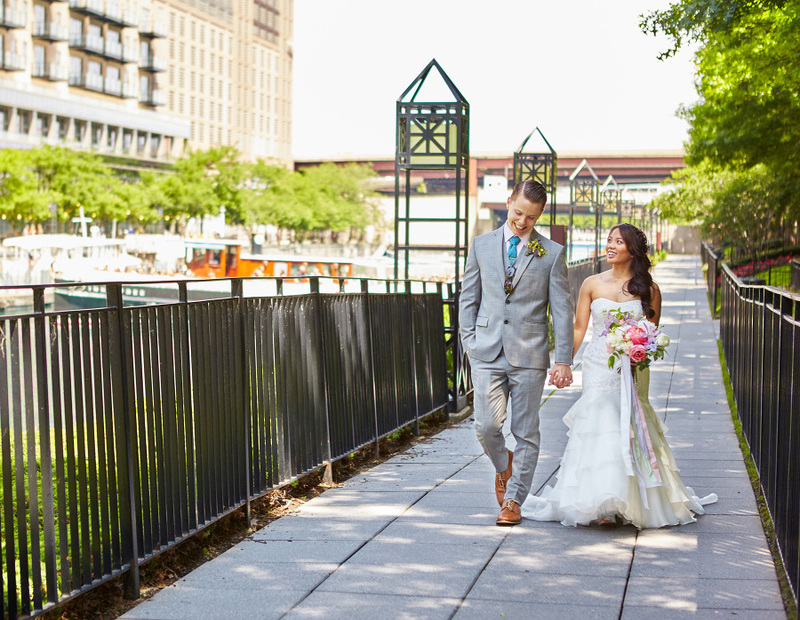 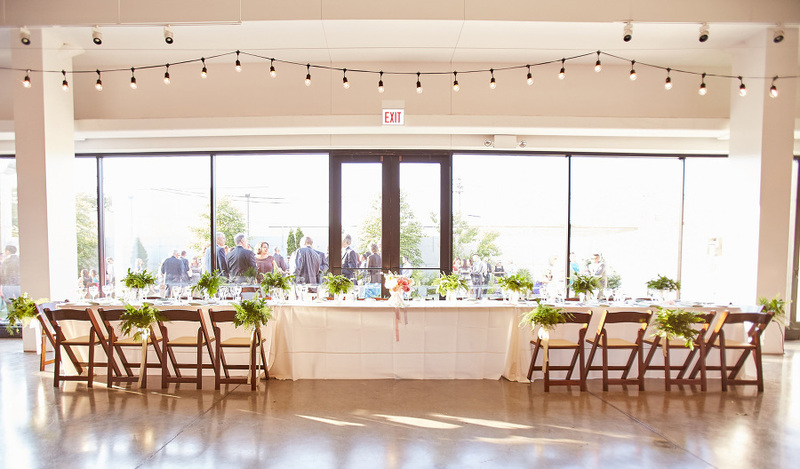 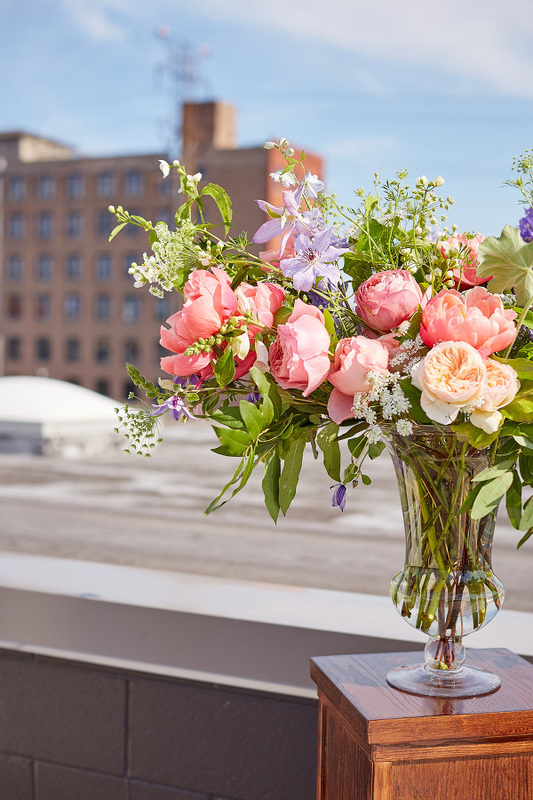 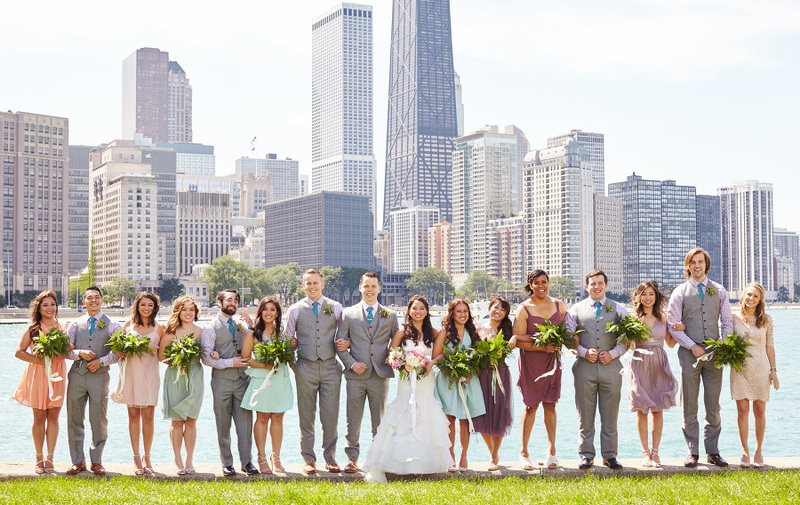 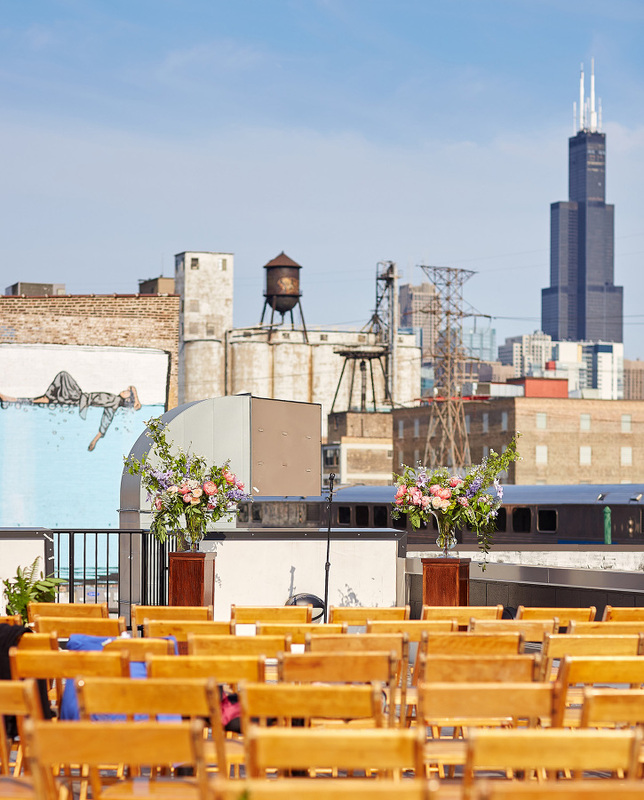 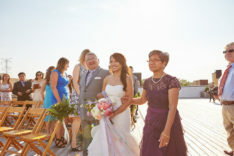 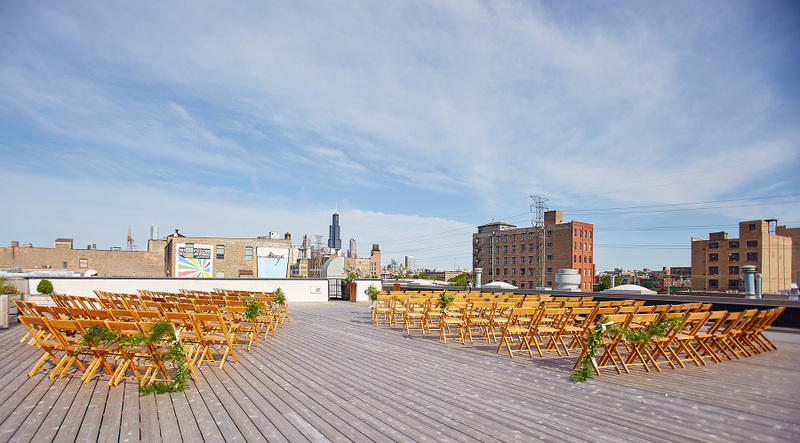 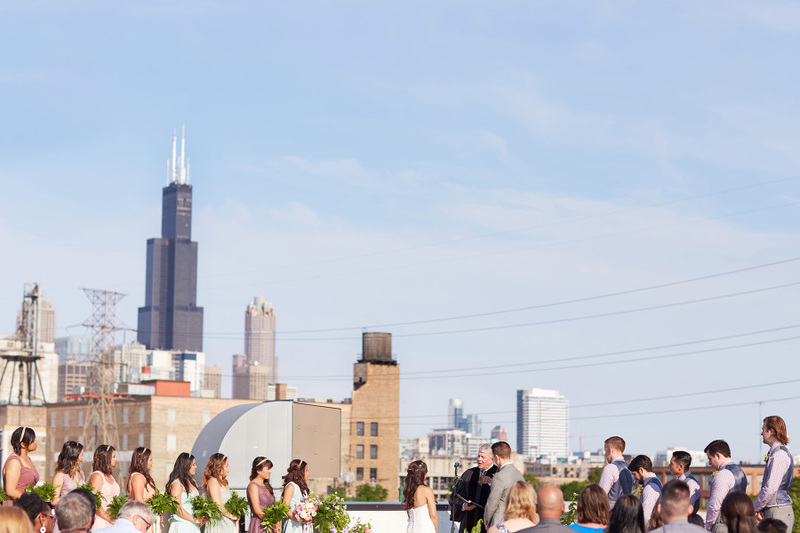 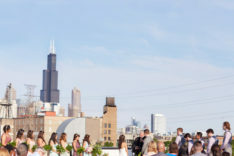 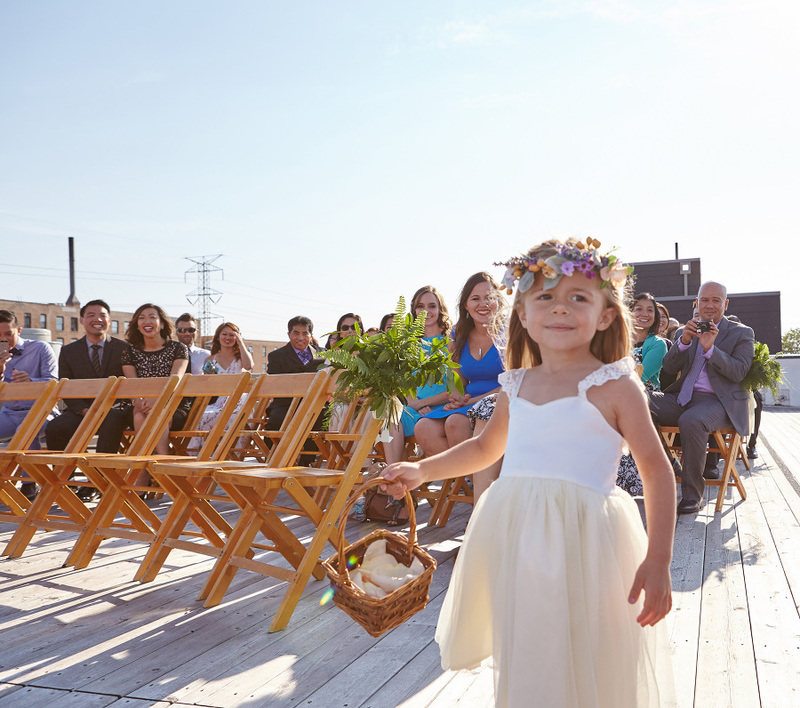 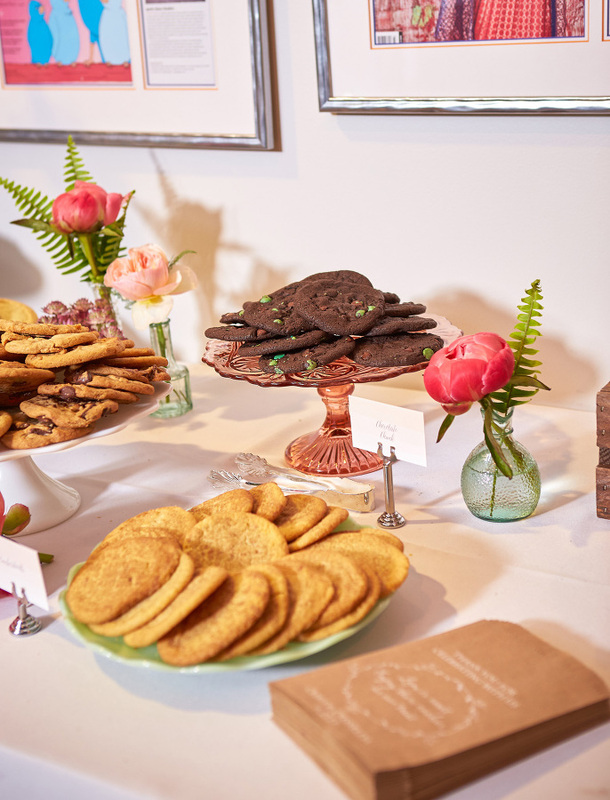 From their rooftop wedding with Chicago’s skyline as their backdrop, to their lively reception with beatboxing and breakdancing performances- every detail celebrated Criss and Chris’ love along with their friends and family coming together.